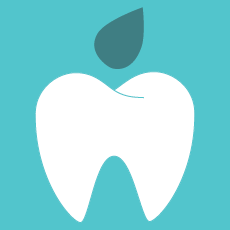 We understand the worry and embarrassment that many people feel following a loss of a tooth or teeth. At our practices in Coventry and Kettering patients will find gentle, experienced clinicians who can offer a range of solutions, including individually made dentures to help you regain confidence in your smile. A denture can be either ‘complete’ (or ‘full’), which replaces all the natural teeth on either the upper or lower arch by sitting over the gums, or it could be a partial denture which fills spaces with a replacement tooth or teeth. Partial dentures may be attached to your natural teeth using metal clasps. If you are considering ways to replace missing teeth, your dentist will take the time to fully examine your mouth, listen to your concerns and answer any questions you may have as they explain their recommendations. If you decide to go ahead with a denture, the colour, shape and size of the replacement teeth will be carefully matched, and made specifically for you out of acrylic (a type of strong plastic) or chrome, depending on your requirements. Once your new denture is ready, your dentist will invite you for a fitting, and you will see how natural the new replacement teeth look in your mouth. It may feel a little strange and maybe uncomfortable at first, but patients become very used to wearing a denture after a few weeks. Eating will take a little practice, so we recommend to start with soft food cut into small pieces and chewing carefully using both sides of your mouth. After a few weeks you will find that the muscles in your cheek and tongue will learn how to keep the denture in place, so talking, eating and smiling will feel much more normal. If you find you’re having any problems, get in touch with our team who will check the fit of your dentures and make any adjustments necessary for you to feel more comfortable. If you want to speak to the team to find out more about dentures, please give us a call.